The Yangtze River Basin is the socio-economic powerhouse of China. The upper reach of the Yangtze River is called Jinsha River. In the last 2-3 decades, the Jinsha River Basin (JRB) has experienced warmer temperatures and increasing extreme events such as flood and drought, causing significant economic loss. At the same time, different sectors and stakeholders, from industry, residential areas, hydropower, agriculture, ecosystems to tourism, are all very sensitive to water issues and climate change. 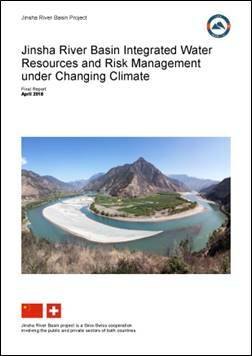 To improve the overall water resource management in the JRB and to adapt successfully to climate change and socio-economic development, in 2014, China and Switzerland jointly proposed a cooperation project “Jinsha River Basin Integrated Water Resources and Risk Management under Climate Change ” (referred to as “JRB Project”). 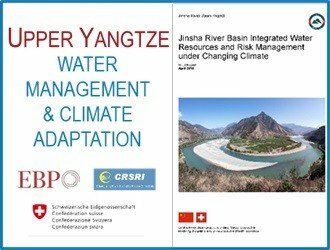 The first phase of this Sino-Swiss cooperation project, finalised in 2018, is to develop methods, instruments and models to enhance the water management practices for the JRB and to enable adaptation strategies and measures to climate and socio-economic change. This article shares some of the key findings from the final project report. The newly developed standardised event registration platform proved to be beneficial to record, visualise and analyse heterogeneous event data sets. It allows data input by different stakeholders using various archives and indicating the uncertainties of each dataset. The hydro-meteorological data analysis tool “HydroAnalysis R-package”, which was specifically developed for this study, allows analysis of basic statistic parameters including trends. The glacier terrestrial observation station established in this project provides basic data support for understanding the impact of climate change on glacier melting and runoff. For the first time, glacier changes on Yulong Snow Mountain are visualised by real-time monitoring. A hydro-meteorological forecasting model (HMFM) suitable for JRB with integrated large reservoirs has been developed, which allows hydrological forecasting for more than fifty locations all over the JRB based on weather predictions on three time-scales. Based on the scenarios RCP 4.5 and 8.5 for future greenhouse gas emissions and their uncertainties, as well as 36 CMIP5 general circulation models (GCMs), this project established 8 climate change scenarios for the expected daily temperature and precipitation in the near future (2021-2050) and 16 scenarios for the far future (2070-2099). Based on these projections, the impact on water supply and demand, river discharge, water-related extreme events as well as on sectors like hydropower, agriculture (e.g. crop suitability) and aquatic ecosystems were analysed. 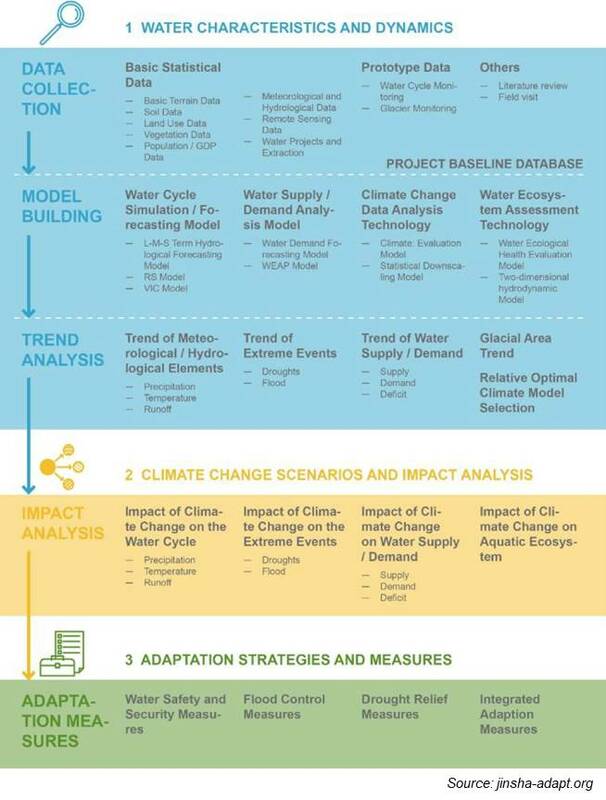 The project identified key challenges in implementing long-term climate change adaptation strategy, such as definition of the objectives of adaptation, coordination between different sectors and the corresponding institutions at various levels, dealing with uncertainties and capacity building. The project also did two case studies: one on managing water supply and demand in Lijiang City by using the Water Evaluation and Planning Model (WEAP), and the other on measures to mitigate extreme weather risks in Yibin City. An international platform for knowledge and expertise exchange on water resources management and climate change adaptation was built. A project brochure (in Chinese) can be downloaded for a glance of project highlight. More interactive information can be accessed here. This project has not only created a solid fundament of research results and powerful and sound tools to enhance the water management practices for JRB, but also enhanced cooperation skills and mutual trust among Chinese and Swiss experts. It paved the way for substantial implementation work in the future. All these will contribute to practical management needs of Changjiang Water Resources Commission (CWRC)*, and also allow sufficient preparation of future implementation of IWRM in JRB and in other river basins in China. The planning periods in China (5 to 15 years) may create conflicts with the long-term impacts of climate change and the long-life span of water infrastructures. The decision to consider two future time periods (near future 2021-2050, far future 2070-2099) in the project was the result of intense discussions in the project team and with stakeholders, to ensure the scientific value but also the practical use of the project results. To find out more what the tools and procedures used in this project, and the comprehensive research findings and publications, please visit the project website and read the full project report. Mr. Christian WILLI, Member of Management Board Safety and Security at EBP Schweiz AG and head of the group of Natural Hazards. He holds a Master in forest engineering with specialization in natural hazards at the Swiss Federal Institute of Technology (ETH) and has been dealing with safety issues in its fields for more than 11 years. He is specialized in probabilistic risk analysis as well as in the participative risk analysis supported by the IT-tool RiskPlan and in the moderation of risk dialogues. He is an expert in the integral risk management particularly the integral flood risk management. He is the deputy project manager of JRB project. Ms. FU Rao, project manager at EBP Schweiz AG. She holds a Master in environmental engineering of Federal Institute of Technology Zurich with specialization in water resources management, urban water management and environmental planning. In Switzerland, she was involved in various projects related to flood risk management, pollution control, ecological rehabilitation and water resources management during the last 6 years. She is the expert for water resources management and fish ecology of JRB project. Mrs FAN Li, Senior Environmental Consultant of EBP Hong Kong Ltd. She holds a Master Degree in Environmental Technology from Imperial College London. She’s specialised in Environmental, Health, Safety and Social Due Diligence Assessment, contaminated site management (soil and groundwater remediation assessment). She is a certified Carbon Auditor Professional (CAP) and certified member of Environmental Management Association of Hong Kong. Dr. Liyan WANG, Senior Advisor for Swiss Agency for Development and Cooperation (SDC) China Office. She joined SDC in 2009, and has taken thematic responsibility for SDC to develop its bilateral and multi-lateral cooperation in China. She has taken leading role in the design and operation management of major SDC programmes in China in clean air and water domain, including water resources management, risk management, groundwater over-pumping management and rehabilitation, etc. Dr. WANG has years working experiences in energy and environment field. She has Ph.D degree in hydraulic transmission and control.